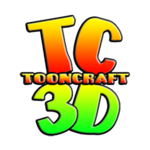 Coming very soon! Smaller sets at a smaller price. First up, Assorted Supers! Soon to be followed by Panicked Civilians. Lots more on the way after that. Wow! David. This is a very great thing. I am very sorry and sad when old art is forgotten or left unfinished. 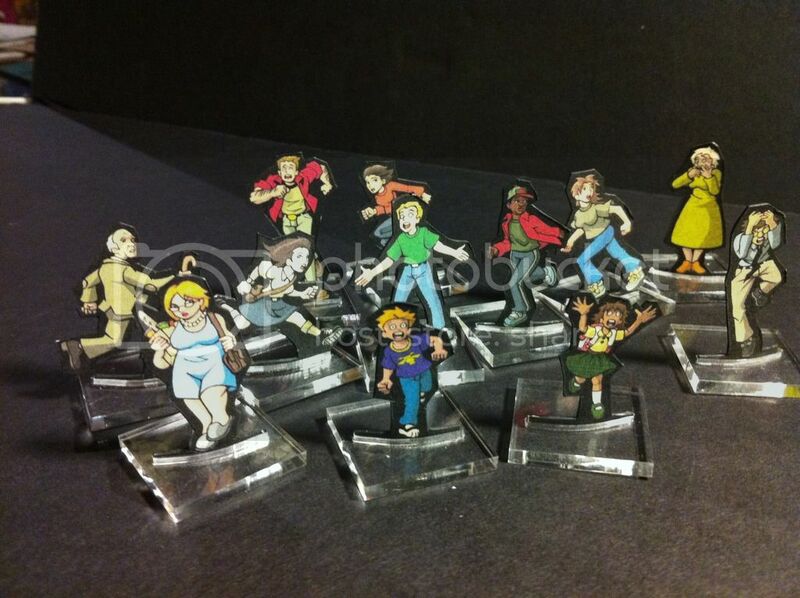 And some of these paper minis' artworks recaptures and improves some of your old figures. Loving them so far David - and I don't even do Supers gaming!!!! Great idea! Looking forward to more mini-sets! 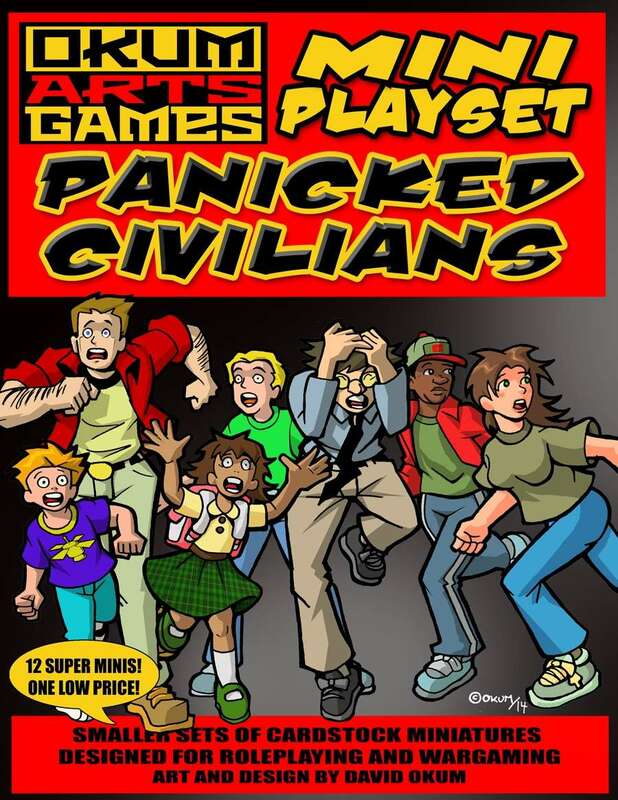 May I suggest that Panicked Civilians wearing medieval type clothing would also be a useful mini playset for those of us who play Fantasy rulesets. Great minis though, makes me start to wonder about resurrecting that idea about Police vs Robots from Outer Space scenario I dreamed up a while ago. Soon to be followed by Panicked Civilians. Hey, many of you already have this (Kickstarter supporters) or have heard of this. In anticipation of the soon to be released basic set of Darkfast Dungeons I am putting out the Miini Playset Frosty Encouner. Yay! Lots of chilly Sword and Sorcery goodness for under a buck! The panicked Civilians are on their way very soon... Darkfast Dungeons is just a LOT of work at the moment. Any chance you will be selling Darkfast Dungeons minis ONLY? I just snatched your frosty set. Great minis like always. Thank you for drawing so many super minis. after xmas I will put them together and use them as yetis in my sylvester special rpg. The Darkfast Dungeons minis will be packaged with the game. Future supplements will be available with other class options. Looks like some super awesome stuff coming up shortly! Can't wait to get my hands on the scenario packs as well. who am I kidding, Its all gonna be great. 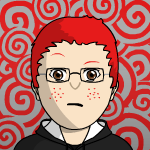 I just finished the rulebook edits and the card edits tonight. Honestly my plan is to get the basic set out tomorrow (Christmas present?) and get the advanced set (walls) out for the 30th (or sooner). Then it's all about the add-ons and stretch goals. Holy cow! I was so busy on the weekend I forgot to post this here. 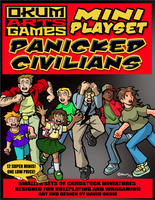 The Panicked Civilians set is now out! Get them before they get away. 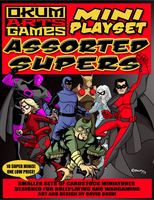 They make great fodder for monsters and bystanders for your super hero game. Perfect for any modern setting. The first thing I thought of when I saw these is that there must be a way to integrate them into Katana School Girls. I grabbed Panicked Civilians and was so impressed that I went back for both Super mini-sets and the Ninja mini-set as well. I also grabbed Armageddon Outta Here Set One and a barbarian set. The only one I don't have a pressing need for is the Armageddon set. I bought that just for fun. The Nandals are great, but is there any chance that we will see more of them? I could sure use them, particularly some of their lady friends. I am running a stone age campaign and these are the best things out there for figures! Let me know if you have any female Nandals available because half my group is female. I knew I had seen some other stone age types some where.... These of any use to you? hmm... I was considering putting some neanderthals in one of the dungeon monster sets. This is good to know. 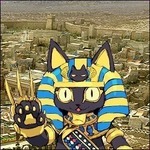 I hope you enjoy the minis Blackcat!